Pull up a barstool, football is back! The NFL pre-season just started, and everybody is looking for a good seat in front of the TV. But when you have friends over to watch the game, not everyone gets a spot on the couch. So what happens? People end up dragging chairs in from the kitchen or the dining room. Maybe some people stand while others sit on the floor. Barstools make it easy for people to move around, from the food to the drinks and back to their seat. With barstools, nobody gets too attached to their spot. It’s not like the prized recliner. If someone loses their seat, they’re happy to just grab another barstool. No big deal. Barstools are small and easy to arrange. No matter how many people you have over, barstools can be set up so they don’t get in the way. Barstools give your home instant stadium seating. Line them up behind the couch or along the bar in the back of the room. The elevated seats make it easy for everyone to see the TV. Barstools are comfortable! These swivel stools have a back, arms and a padded seat. It’s like giving each of your friends a mini-couch! Barstools have plenty of uses around the house when you’re not watching football. Breakfast in the kitchen, evenings on the patio or a drink at your home bar. 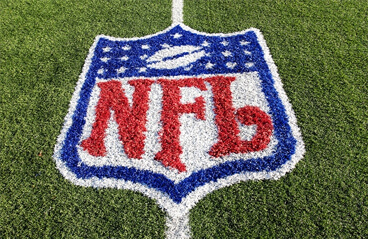 The Super Bowl is on February 3, 2013, nearly six months from now. 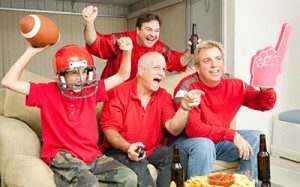 Pre-season is the time to make sure your home is set up for you and your friends to watch your team in comfort all season long. Browse our website for a set of barstools that psych you up and keep your guests happy.